Buy a Spektrum Air Transmitter - Get a FREE Bonus Receiver! Home » Industry News » Buy a Spektrum Air Transmitter – Get a FREE Bonus Receiver! Buy a Spektrum Air Transmitter – Get a FREE Bonus Receiver! If you have yet to make the switch to Spektrum 2.4GHz DSMX air technology, there is no better time than right NOW to join the ranks of satisfied pilots who depend on Spektrum to control their aircraft. Our friends at Spektrum let us know that from no until the end of 2014, buy ANY Spektrum 2.4GHz transmitter and they will add an extra bonus receiver for free! Buy the entry level Spektrum DX5e, get a Spektrum AR400 four channel receiver for FREE. 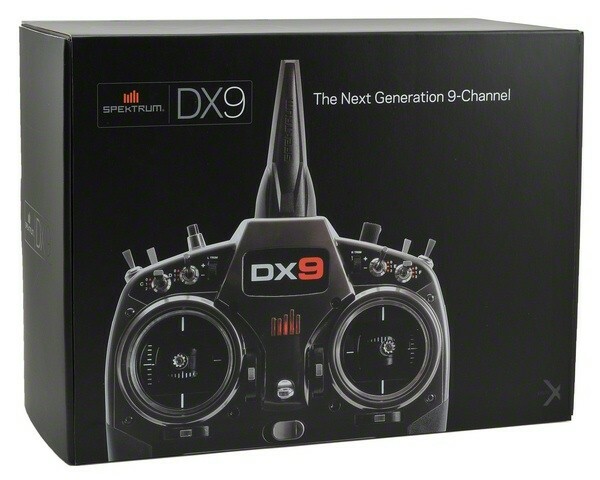 Buy the popular Spektrum DX6, get a Spektrum AR610 six channel receiver for FREE. The program is structured to up the ante as you move into the more feature rich Spektrum transmitters. Buy the flagship Spektrum DX18 transmittter and receive a nine channel Spektrum AR9020 receiver for FREE! Many Spektrum transmitters include a receiver in the box as a part of the package already; take advantage of this offer and you may receive a total of two Spektrum receivers. Offer good until December 31, 2014. Head over to Spektrum now for all of the details or for information on where you can purchase your Spektrum radio gear.